When most call center managers set performance benchmarks, they’re focused on a set of broader goals. For example, picking up a customer call after twenty seconds versus ten probably won’t affect the ultimate outcome of the call. Examine those measurements at scale, however, and you could find some serious implications for productivity. 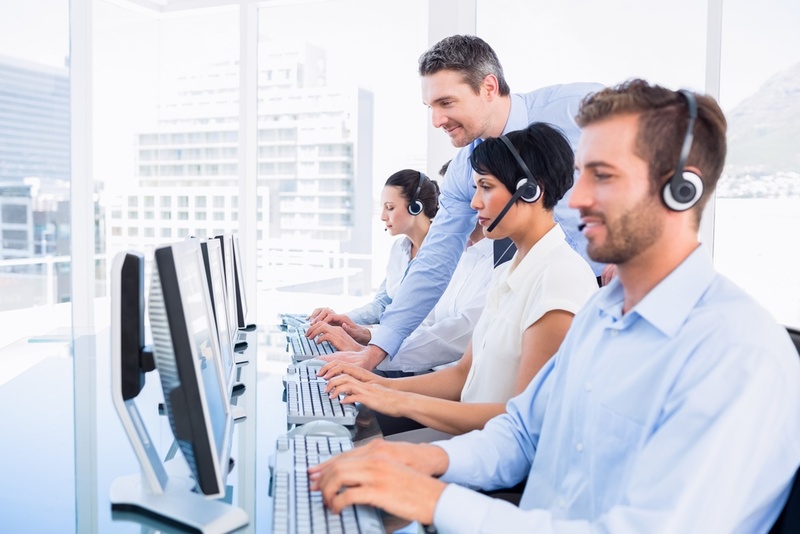 Call center quality management is key to delivering better service to the clients, enhancing staff productivity, and budgeting resources to maintain those two factors. This is how often your customers get their problems solved on the first try. It applies to any support call, from troubleshooting to bill corrections. A higher rate will indicate more calls are solved the first time around. The obvious benefit of first call resolution is that the customer feels properly attended to. From an operational standpoint, fewer calls means better resource use, too; fewer agents need to be involved on a single ticket. It’s also an indication of strong employee competence and signs that your current training process is successful. As customers call in to your support or sales center, they’ll typically be ordered into a queue based on when their call connected. Some unavoidable events will build up that call queue, like if an ISP is experiencing outages, for example. In any case, agents should work to minimize customer hold times and connect with them as soon as possible. Nobody likes having to wait, especially if they’re calling about an urgent support issue. And every customer’s issue is urgent and important. For department managers, monitoring customers’ Average Time in Queue can also show when staff should be scaled up or down to meet workload demands. This can lead to relatively minor changes in things like agent scheduling, or more significant decisions regarding hiring or outsourcing. Transfer Rate has a similar impact on customer satisfaction as First Call Resolution Rate, since transfers can often feel like making a whole new call to the customer. Businesses can cut down on transfers by using a directory assistant, but even with one in place, user error can result in customers getting connected to the wrong team. 1) Ensure that your directory options are as clear as possible. 2) Ensure that your agents are trained properly, which will improve your First Call Resolution Rate and reduce unnecessary transfers. All businesses should be exhibiting courteous and professional behavior toward their clients. It’s also important for agents to give customers a call experience that’s consistent with what they expect of the brand. While adherence to a strict script isn’t always necessary (and may actually impair agents’ abilities to solve issues), establishing guidelines for tone and call progression are crucial. Greetings and verification procedures should be the same for every agent, and they should have a consistent line of questioning for identifying and subsequently resolving cases. Managers can rely on call recordings to regularly monitor performance and coach employees when necessary. While the other metrics on this list require some analysis and insight, surveys give businesses direct access to the customer’s voice. Compliance can be difficult to attain, but customers who are extremely satisfied or dissatisfied will often make note of it when given the opportunity. A good way to present that opportunity is to incorporate automated call-back surveys into your call flow. If you’re particularly pressed for feedback data, you can also incentivize survey submissions by offering the chance to win a discount or prize. Promote it on material you know the customers will see, like billing invoices. Many modern customers have a favorable opinion about resolving issues on their own. Survey results indicate that two-thirds of all respondents prefer to use a self-service portal rather than contact a support representative. Developing a help or support portal for customers could be a great way to improve call center quality management across the board, if only due to more manageable call volumes. As long as the material is accurate and regularly updated, an online portal could have tremendous productivity benefits for your team. We mentioned above that a clear line of questioning will improve the customer’s experience. It can positively influence your team’s performance, too. Giving agents a clear idea of workflow actions can improve a number of other metrics: First Call Resolution Rates, lower Transfer Rates, the ability to move on to the next customer quickly (thereby reducing Average Time in Queue), and more. Employee onboarding should reserve a great deal of time to examining processes in response to various contexts. If the team is equipped with the proper calling platform, many processes can also be set up by leveraging automated call flows. Average Call Handling Time is going to show how long agents are actively working with a customer to resolve their issue(s). While minimizing this time would mean you can serve more customers, it would have to be done without reducing your First Call Resolution Rate. Otherwise, you’re only creating more problems and reducing customer satisfaction. If your team is already at an optimal ratio between Handling Time and First Call Resolution, use this metric to staff appropriately or determine if you need to cut down on Project or After-call time. Longer call times will likely lead to longer call queues, and that can only be cut down by more agents. Being able to provision more agent seats quickly will be important to maintaining your service levels. You’ll probably notice that as your Average Time in Queue and queue volume go up, your Abandon Rate will, too. Customers will drop out of the queue entirely if they feel like they’ve been waiting long enough. A high abandon rate is indicative of high frustration levels and low customer satisfaction, so getting staff in place to respond and keep the queue moving is critical. Cost per Call can be examined in two ways. First, you can consider how much it costs to actually place the calls on your voice system based on carrier rates and service costs. Second, Cost per Call can be calculated based on labor execution, or how much you’re paying call agents to operate each call. This is going to be your best indicator of financial resource consumption over time. In many cases, this will be factored into your customer retention costs, and if your marketing and sales teams have collected data appropriately, can be weighed against customer acquisition costs to perform a health check. Most of these metrics can be analyzed, or at least inferred, with access to call data. Modern cloud-based voice systems give sales managers and call staff the ability to dig into that information and improve overall call center quality management. Cloud communications does a lot more to enable staff than that, however. Click here to download a free resource guide on how cloud communications is influencing the way enterprise businesses succeed.